We will be traveling down to Amherst, Massachusetts in less than two weeks to play in the Amherst Middle School Invitational Tournament. 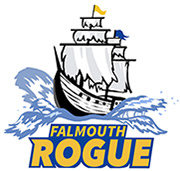 We will leave Falmouth on Saturday, May 16th and will spend the night with a local host family. Players are welcome to stay with the host family or can stay nearby with any friends or family you might have in the area. We’ll be going into town on Saturday evening to eat dinner as a team, so anyone staying elsewhere can join in. Here is the website for the tournament. We’ll be organizing carpools this week as I get a better idea of attendance. I will publish more details on this post as I get them as updates below. We will gather at the parking lot behind the high school where we normally practice on Saturday, May 16th for a 2pm departure. Please have your players at the drop off no later than 1:45 to ensure our timeliness. It’s perfectly fine if players aren’t able to come down on Saturday but want to play in the games on Sunday. It would mean an early morning on Sunday (Amherst is ~3 hours away, so you’d need to leave by 5:30am), but would be just fine. When we get down to Amherst on Saturday evening, we will go into town to have a meal as a team, so players who are traveling down but staying with friends or family should plan on joining us. We are staying with a local host family who are involved in the local ultimate community. I will send on their address and contact location to all parents in an email to the Parents Google Group. Our last game on Sunday finishes at 3:15, so we will be leaving Amherst anywhere from 3:15 (if we finish early) to 3:30+ (if we finish right on time), so we will be back in Falmouth no later than 7pm. Please plan on picking up your players back at the Falmouth High school parking lot sometime between 6 and 7pm. We’ll update parents from the road as to our exact arrival time. – Packed snacks for during the day on Sunday and the drive down and back. – Light jacket (the forecast is looking warm on Sunday right now, but it’s maybe not a bad idea to pack a light wind breaking in case of rain).